The University of Michigan is on the path to bringing autonomous buses on campus during this upcoming school year. NAVYA, a French company that holds a partnership with Mcity, is building a facility to create these vehicles that will open in the fall. Ann Arbor could join the few cities in the United States that are currently testing public buses on the road. Two driverless ARMA buses will be cruising around campus when the new school year begins. They will have a two-mile route in an area that isn’t heavily congested with traffic. These buses will be evaluated by NAVYA and they’ll use that information when creating more of them at their new assembly factory in Saline, Michigan. There’s only a nine-mile distance between Saline and Ann Arbor. The new facility checks in at 21,191 square feet and they'll be investing $5.5 million into it. Henri Caron, NAVYA’s Vice President of Sales, is hoping that they’ll build 15 shuttles by the end of the calendar year once testing passes based on an MLive report. 80 total ARMAs are expected to be assembled by the end of 2017 with 65 more being slapped together at their French factory. 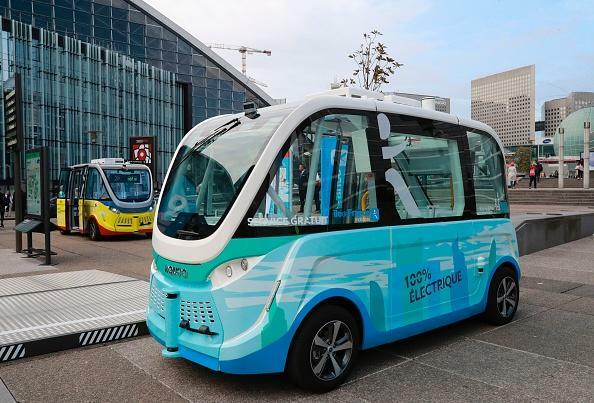 NAVYA launched their entirely autonomous shuttle back in the fall of 2015, which is the first of its kind in the world. The Level 5 public transportation vehicle has been servicing people around the world in places like Australia, Japan, and parts of Europe. They’re the only company that’s allowed to use these driverless vehicles on public and private roads, according to a report from Michigan Radio. Mcity has been the main reason why the French company is so interested in working with the university on autonomous vehicles. This is a “fake city” that’s located on their campus that’s spread out on 32 acres. It provides a large testing center for autonomous vehicles. Recently, they’ve been looking toward improving vehicle-to-vehicle communications among self-driving cars. Instead of solely relying on radar, these cars will be able to tell each other about potential hazards in the area. Only a few cities have dabbled into autonomous driving in the United States so far. Las Vegas has a NAVYA ARMA that travels on a three-block route on Fremont Street that began back in January. Boston has an autonomous car that can roll around three miles of coverage in perfect weather conditions. Chandler and Phoenix have seen testing from Google’s Waymo, Ford, and Uber. NAVYA's support in the university's autonomous testing city will give them a tremendous edge in the movement toward driverless cars. It's only a matter of time before the university and perhaps all of Ann Arbor's public buses will be replaced with ARMAs.